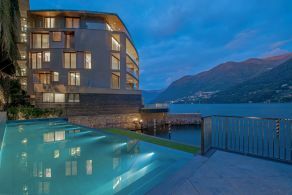 This prestigious resort has been built along the banks of Lake Como, in a picturesque area between Brienno (4 km) and Cernobbio ( 7 km). 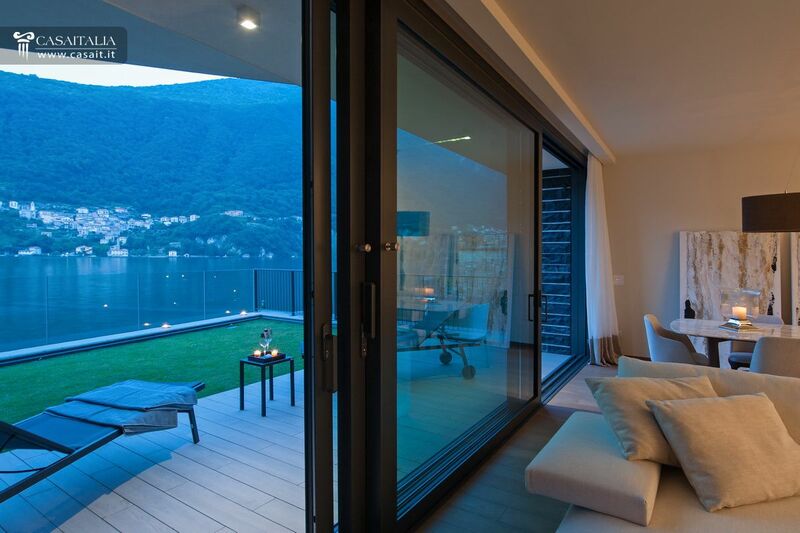 Split into 13 separate apartments for sale, of various sizes. The location is perfect: the area is one of the most well-known and loved by tourists, including celebrities. 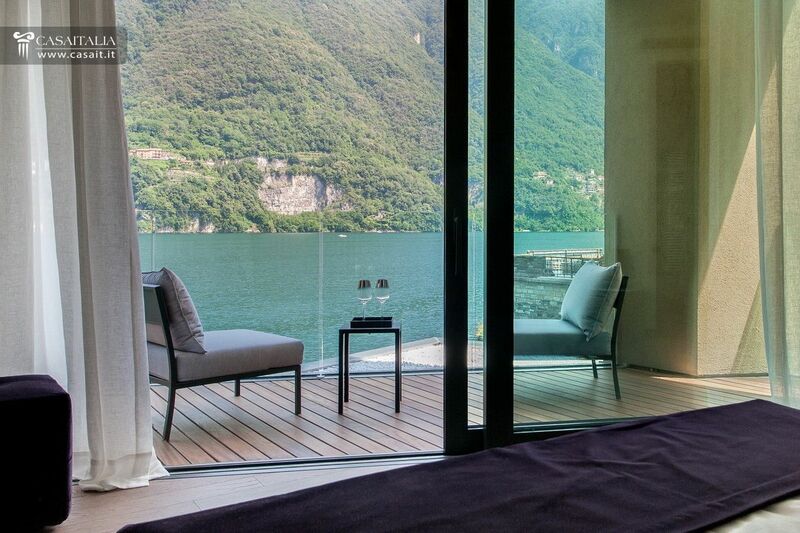 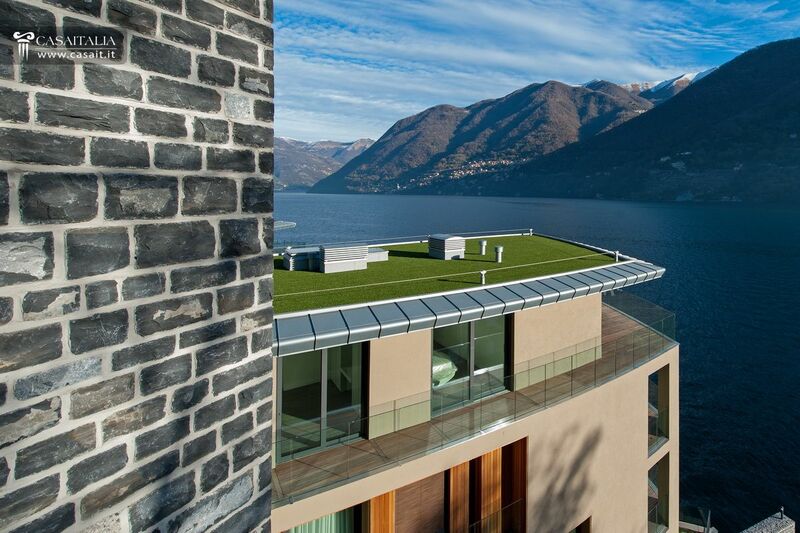 Situated 13 km from the Swiss border and 17 km from Como, a quarter of an hour away. 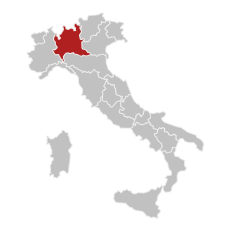 Varese (36 km) is just over half an hour away and Milan (58 km) is less than an hour. 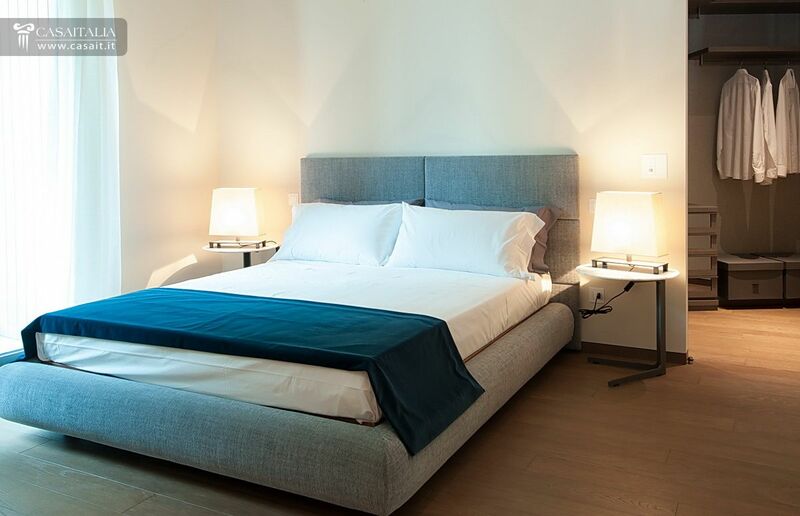 The location is also ideal for Milan Malpensa and Milan Linate airports, which are 65 and 82 km away respectively and reachable in about an hour. 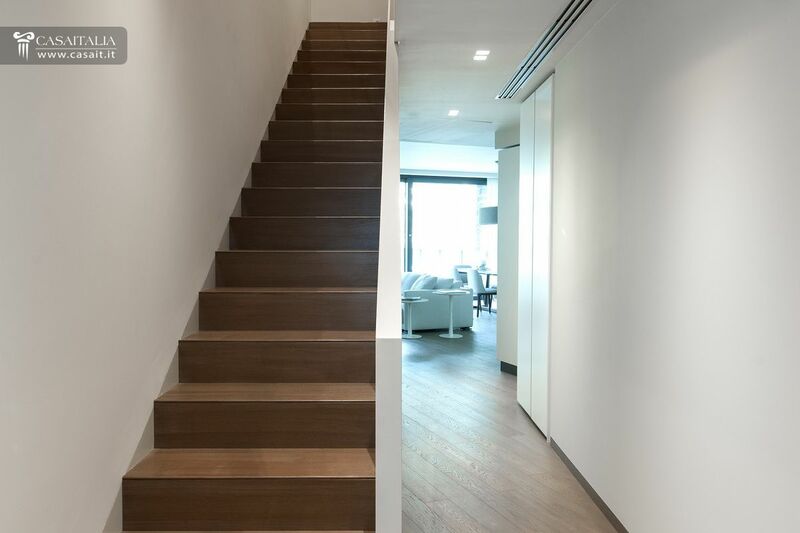 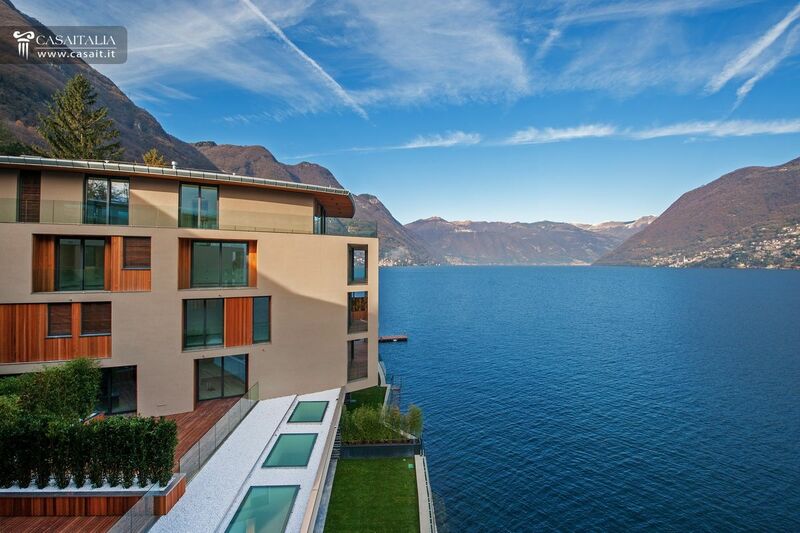 There are 5 apartments still available (four 2 bedroom and one 4 bedroom) with surface areas from 118 sq.m to 220 sq.m. Also for sale are two wet docks, belonging to the two apartments on the ground floor. 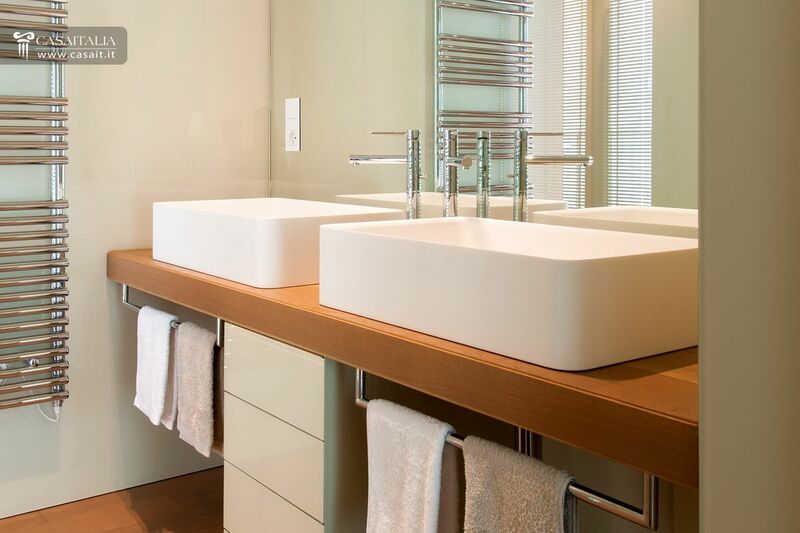 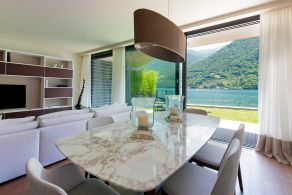 All apartments have a panoramic view of the lake and a terrace or private garden. 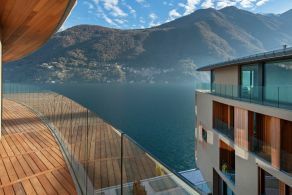 Other bonuses of the resort include the garage, the private beach, the infinity pool and an innovative lift system to raise the boats to the wet dock. 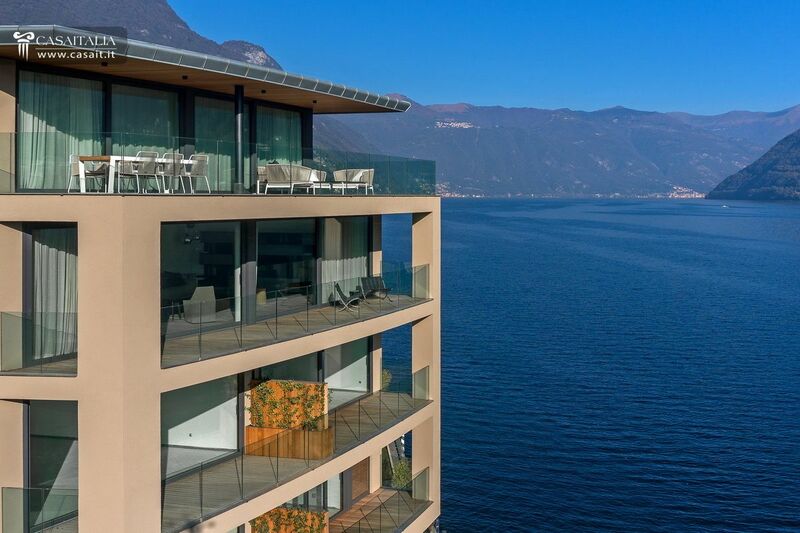 Each apartment has a terrace or a private garden, plus the opportunity to use the communal outside spaces: with a garden and private beach with lake view. 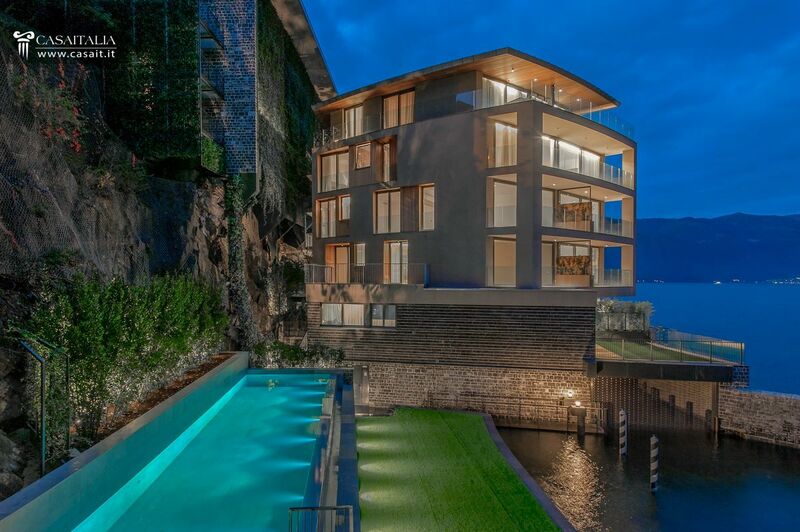 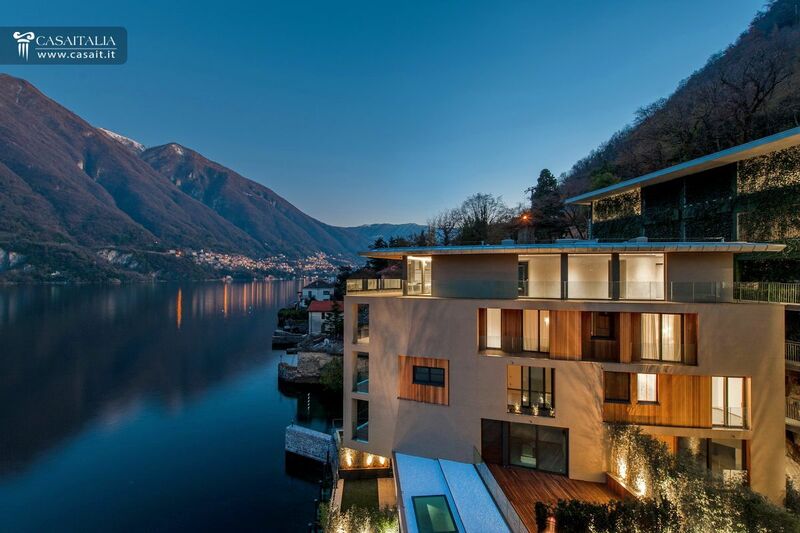 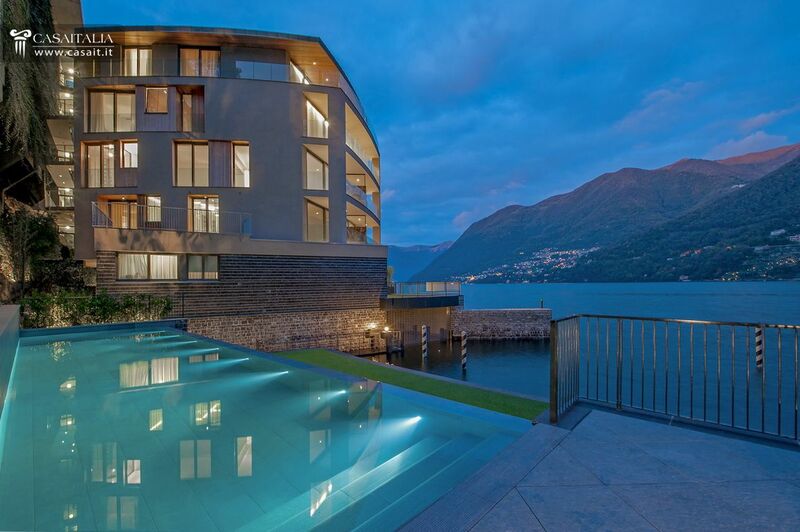 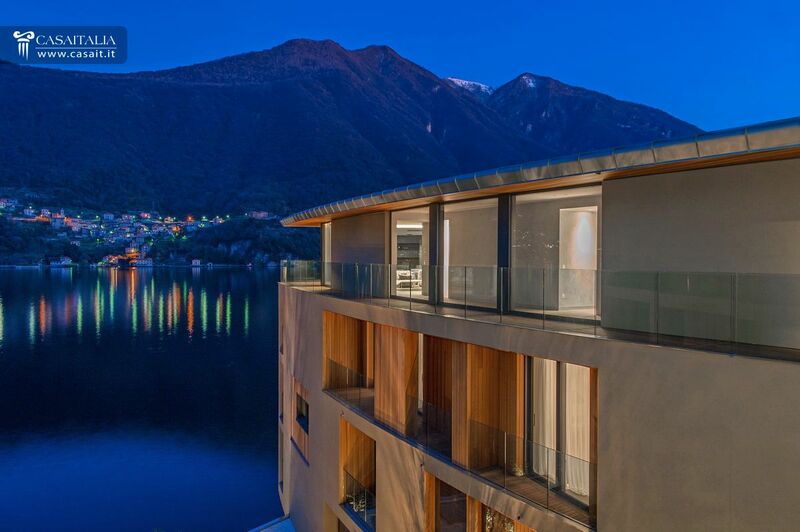 Its magnificent position on Lake Como and the added bonuses of the resort (private outside spaces, pool, garage and communal garden, wet dock) make these apartments ideal as holiday homes. 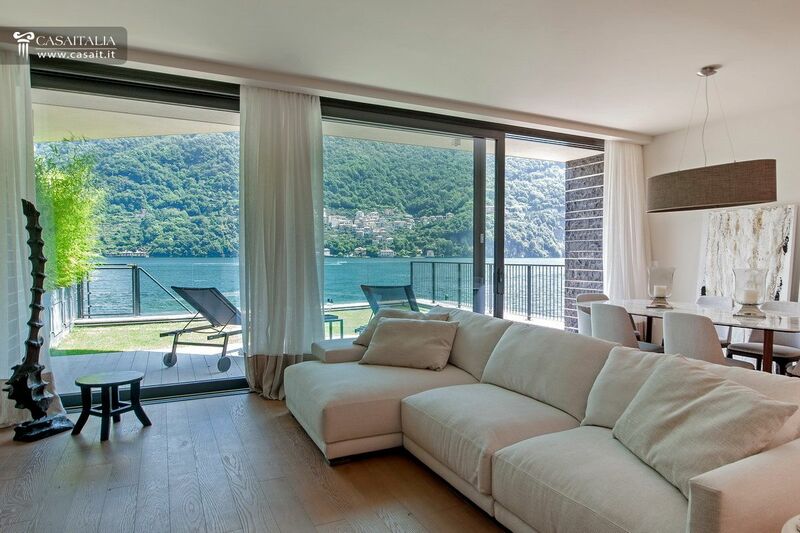 A place for long periods of relaxation in contact with nature but at the same time in a convenient and easily accessible location in relation to the great cities of North Italy, and to Milan Malpensa and Milan Linate airports.